Reporting from Imagine Cup finals at Microsoft Head Office Redmond, Seattle, WA. Yesterday I was fortunate enough to walk in the Microsoft HoloLens Academy! Yeah! It was like jumping into a science fiction. It’s more than augmented reality. 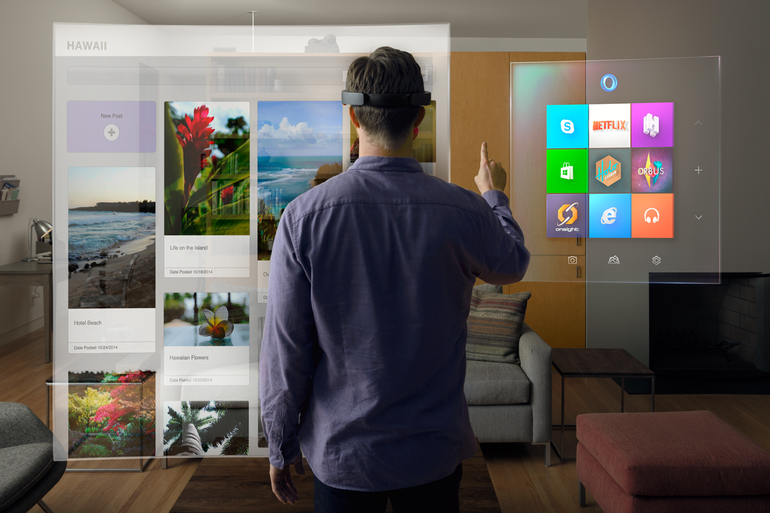 HoloLens was announced back in January. Microsoft is still putting together to enhance the user experience of it. Satya Nadella, CEO Microsoft said “think of it as Kinect++, and then square it”:D That was his explanation on this cool device. I walked into the HoloLens academy to see some magic. 😀 It was restricted to carry the electronic devices, mobiles almost NOTHING to the academy. Company policies 😉 But I was not disappointed. First thing I saw was a set of computers running Windows 10 on desks. Turned around. 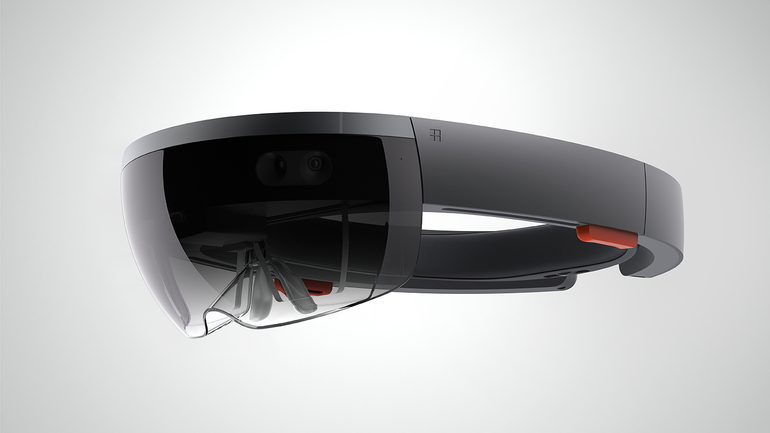 Then the HoloLens. Thing that is more like a device that we’ve seen in science fictions. It was not hard to wear the device. Though it was bit…. Heavy (am sure Microsoft will solve this tiny issue). No wires attached & it was able to create holograms that is perfectly blended with my surrounded environment. Think of a minecraft game with augmented reality. The characters running on your own room floor… on your sofa! That’s mind blowing guys. I bet, with Microsoft HoloLens the gaming culture will go for a new era. Gamers will love to get their surroundings to the gaming environment. Designers and researchers will get the ability to interact with the virtual reality objects that they have created with the gestures. So unlimited freedom to use a 3D canvas! The first experience of me with this cool gadget was a little red jeep that will come to the place where you gaze at! Then 2 paper balls rolling on the actual floor that follows all the physics laws. So guys, programming for HoloLens.. Yeah it’s not rocket science. Keep your eyes and polish your skills with Unity Game Engine. 😉 It’ll help you to get into the pool! Here we go! In the last post we discussed how to get started with Microsoft Project, building a work break down structure, Gantt charts, and project calendar kind of stuffs. So in this post we are going to discuss further about some of the essential functionalities in MS Project that you can use for project management. You can use the Resource Sheet in Microsoft Project (Task -> View -> Resource Sheet) to create a list of the people, equipment, and material resources that make up your team and carry out the project tasks. Your resource list will consist of work resources or material resources. Work resources are people or equipment. Work resources like people may have hourly rates that we should pay. Sometimes for the equipment we using, we’ve to pay a rental. A cost analysis can be done after assigning these costs to particular resources. The main goal of the resource assignment is to allocate properly the resources and to provide valuable information regarding the effort of the team. With respect to the scenario of your group project, the resources are your group members. Once the resources are created, you can go back to the View menu, and click Gantt chart to see again the tasks, and then when you double click a task you can add a resource to this task by using the tab “Resources” or just select the resources from the drop down list. In Microsoft Project, by selecting the task -> view -> Network Diagram we can get the network diagram of the project. To calculate the free slack of a task, the easiest way is to add a new column in the Gantt chart view. There will be at least one path through the network that defines the duration of the project. Any delay to any activity on this critical path will delay completion of project. 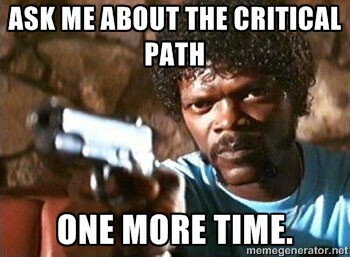 This path is known as the critical path. The activities or the tasks in the critical path cannot be delayed. That means the free slack of these tasks are zero. In the network diagram view, critical path(s) is indicated in red color. So it is easy to identify the tasks that we should pay more attention. When we carrying out a project, time to time we have to do progress presentations. Sometimes we have to submit progress reports for the clients. In Microsoft Project it’s very easy to generate reports. These reports can attach with Word, PowerPoint or can be exported as an image and use in any place. Simply go for the “Report” in the menu and try out different reporting queries provided with Microsoft Project. If we want to make the project file available for everyone in the team we can use Project Online coming with Office365 or can use a SharePoint server to host the Project file. This is just a glimpse on what we can do with Microsoft Project. Keep using it and you’ll find out how easy it is to manage projects with this awesome tool. Keep commenting the troubles or anything to clarify about Project Management tools. Will try my best to help you.